When we started Shippo four years ago, we wanted to achieve a simple goal: make it easy for any business to ship packages. This goal was inspired by our own challenges starting and running an e-commerce store. Over the last few years, we’ve learned that shipping is defining customer decisions at checkout—and reshaping e-commerce itself. Today, we support more than 35,000 businesses with a mission of helping them succeed through shipping. Fueled by the expansion of our customer base, we’ve seen triple digit year-over-year growth. We’ve expanded to serve trusted brands like Tuft & Needle, MeUndies, ipsy, hims, and Loot Crate. We power shipping for marketplaces like eBay, OfferUp, GOAT, Depop, and Vinted. This growth has attracted over $29M in venture capital from leading investors Union Square Ventures and Bessemer Venture Partners. Shipping often accounts for 15-30 percent of e-commerce business’ spend. Our customers are, on average, increasing their shipping volume by 71 percent each year. More specifically, we are putting them on a path to sustained growth and profitability. So, today we continue on this journey by undertaking some important changes to the product in our most exciting release to date. The decision to focus even more sharply on creating value for our customers is aimed at making them more successful. Here are some of the updates we’re launching today to do just that. E-commerce businesses today need to move quickly, yet shipping can be one of the most time-consuming and onerous processes of their business. Traditional shipping methods burden them with highly repetitive and manual tasks. 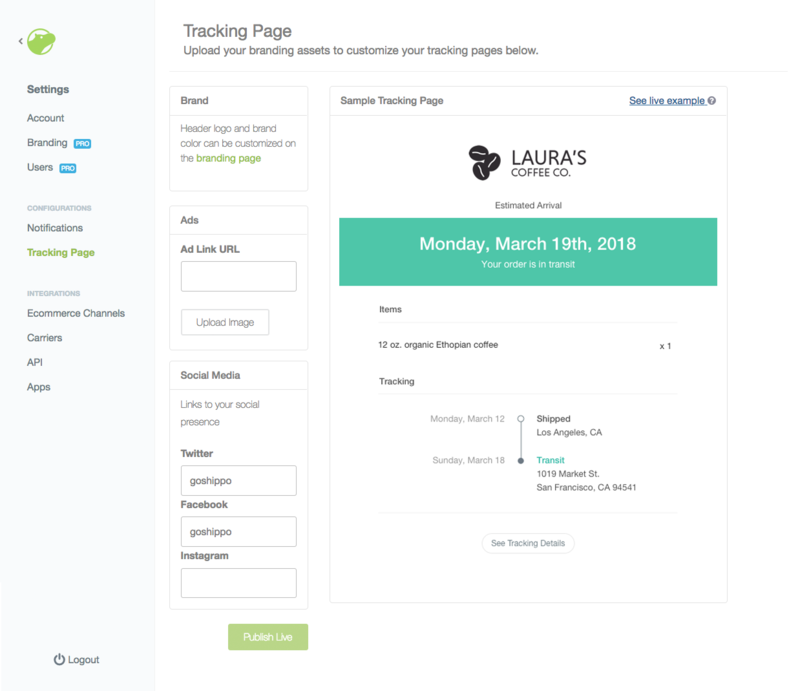 Our new workflow offers automated shipping recommendations such as package weight, dimensions, shipping carrier, and shipping service based on a customer’s shipping history and preferences. Our new workflow relies on innovative approaches in machine learning and the company’s own robust algorithms to allow customers significantly reduce time to buy a label and optimize their own operations. With these time saving measures, our customers don’t need shipping experts in-house and are free to focus on what they are good at—building great products and strong customer relationships. Online retail is spending millions of dollars on shipping but they lack the tools that give them the transparency to evaluate how effective their spend is, especially if there are many shipping carriers in the mix. 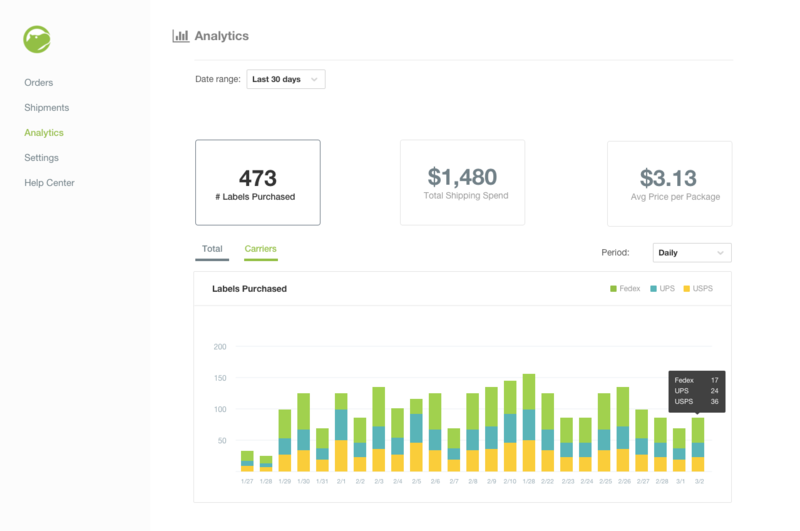 The new, at-a-glance shipping analytics and reporting will serve as an in-house shipping specialist. Answer basic questions about overall shipping history with stats for spend, current shipments’ status, deliverability, delays, fulfillment times, and how to better optimize carrier and service level choices. In today’s fast-moving world of e-commerce, shipping touches many departments of a business. Whether it’s engineering, customer support, operations, finance or marketing, there are many functions within a business that work with shipping. 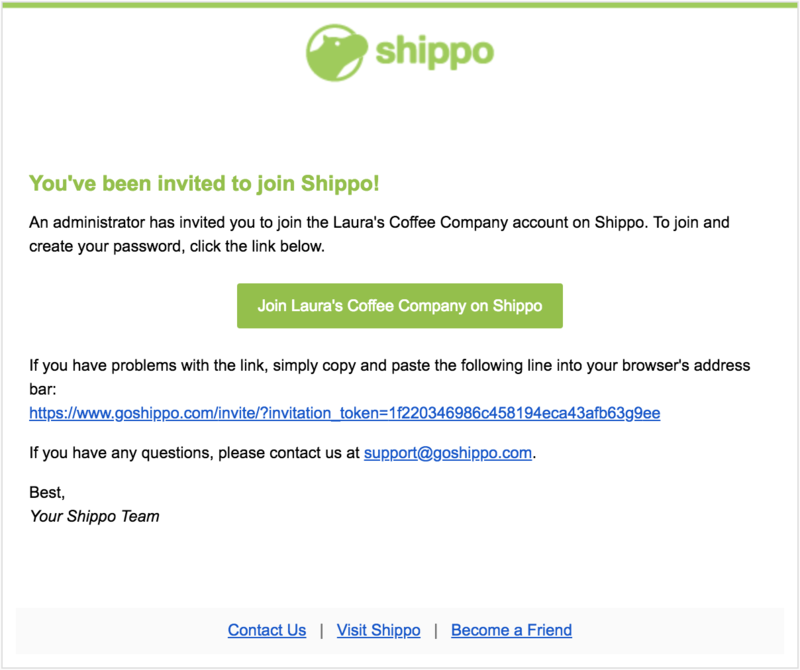 With Multi-User Accounts, Account Owners, or primary users, can invite other users via email to a shared Shippo account using their own identifiable information. Team members can use individual login information to access Shippo, creating a more frictionless shipping experience across teams. Your job isn’t done after a package is shipped. Today’s customer is still very “tuned in” after they hit the purchase button, and yet it’s traditionally been challenging for e-commerce stores to proactively reach out to customers who experience a shipment issue or delay. 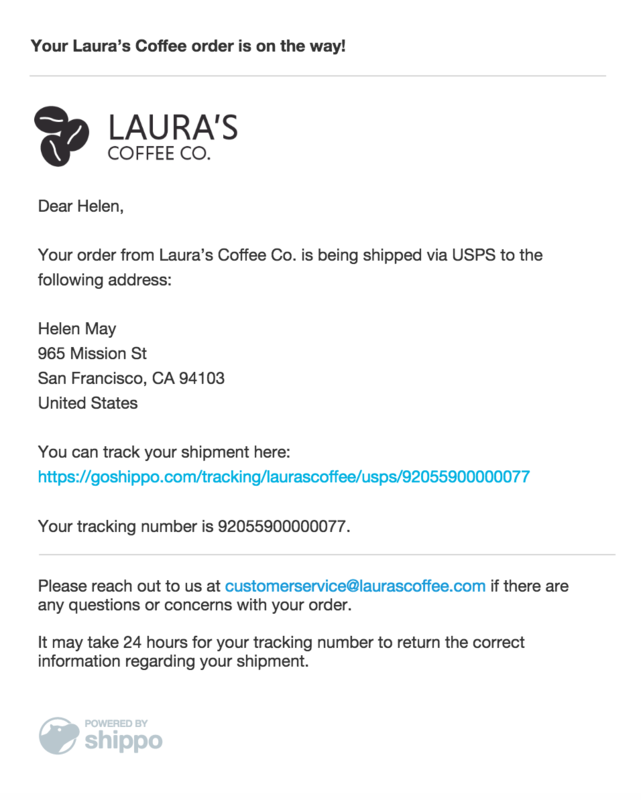 We’ve built basic improvements to our existing email notifications that enable automated messages to recipients based on tracking events during a package’s transit. Similarly, it is confusing for buyers to receive unbranded or inconsistent notifications about their package from different sources. Shippo is minimizing the confusion with improvements that allow businesses to share shipping updates with their end buyers clearly. 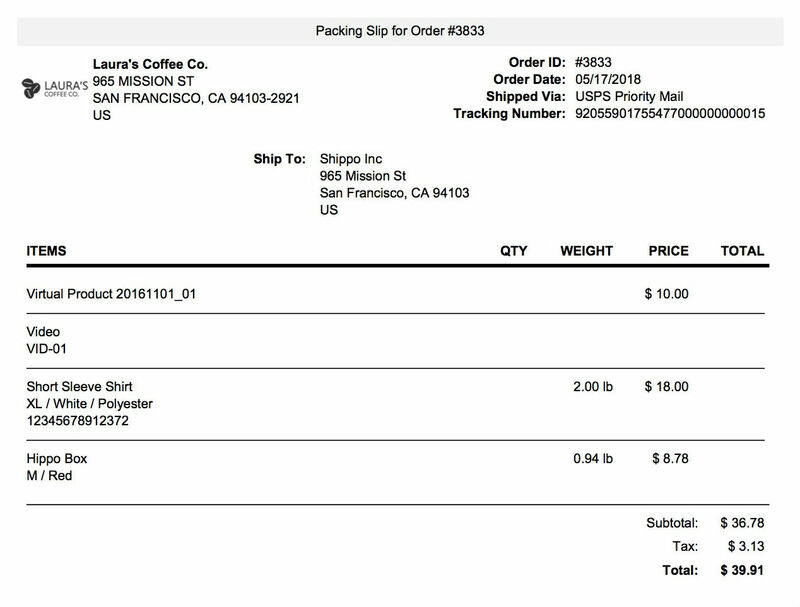 Shippo customers can now include branding elements to their packing slip, such as their logo or customized text. To boot, they can print labels and packing slips in various sizes and formats from a simple drop-down menu. Effortlessly minimize paper use during the fulfillment process by combining label and packing slips on one easy print-out. Today, you can activate Tracking Pages right from the Settings page. Businesses can stand out by proactively notifying their customers of exactly where their package is. They can also maintain a consistent brand story by sending notifications that include their customized logo, display ads, and social plugins without writing code. It’s a great opportunity for customer re-engagement by recommending other items or offering discounts to prompt return visits. As we roll out new features, ease of use stayed top of mind. Our new app navigation offers a quick way to access all the features of the platform by category. In addition to upgrading to a tiered navigation on the left side of the app, we’ve simplified “save” settings and “back” button navigation for each page. Our customers are why we started the company, and are why we are here today. We built these products with the goal of serving businesses that ship goods as well as the customers demanding an exceptional online buying experience. We believe that whether you’re a huge retailer or an amateur selling out of your house you have the entire shipping ecosystem available on one platform. We continue to be grateful that customers continue to rely on us to help get their products to the doorsteps of their customers. We are excited to continue our work with them each day. Ready to take advantage of all these new features? Watch our webinar to find out how to get started. 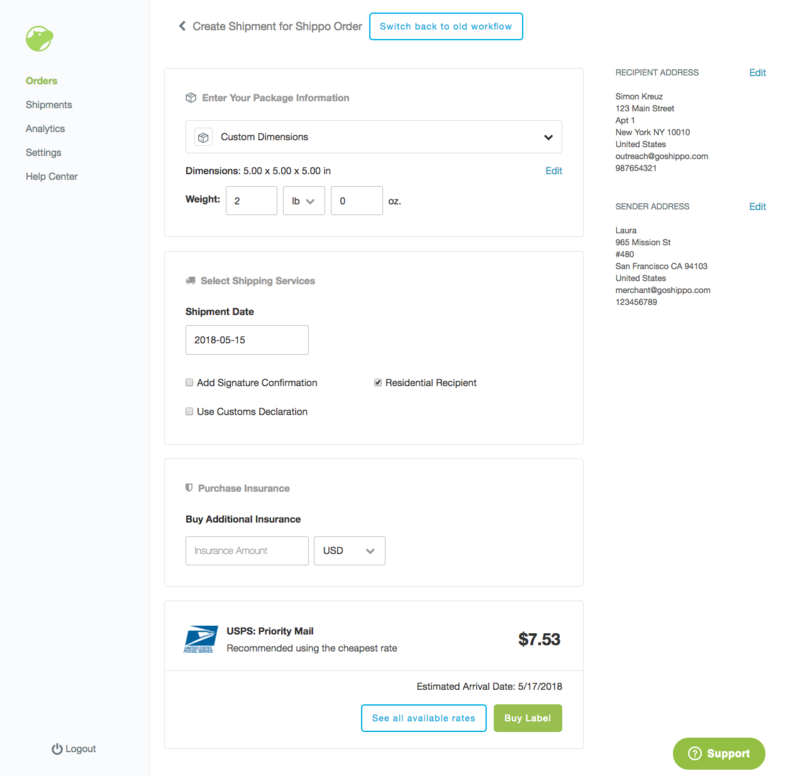 Shippo is a multi-carrier API and web app that helps retailers, marketplaces, and platforms connect to a global network of carriers. Businesses use Shippo to get real-time rates, print labels, automate international paperwork, track packages and facilitate returns. 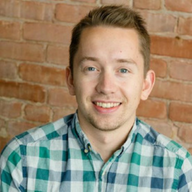 Shippo provides the tools to help businesses succeed through shipping.